In order to avoid potential health hazards from harmful radiation it is important to have proper radiation protection. Medi-RayTM manufactures and supplies different types of radiation shielding products, such as, lead sheets, lead plates, lead containers, lead bricks etc. Contact Medi-RayTM for custom designed products for your radiation shielding needs. Medi-RayTM provides lead counterweights with guaranteed functionality and durability. Lead counterweights may be used in the automotive industry, marine industry, along with environmental equipment, construction equipment and scientific laboratories. Medi-RayTM offers a comprehensive line of lead shipping containers for all your shipping needs. Lead shipping containers are used to transport radioactive materials from place to place. Medi-RayTM products meet DOT compliance and transportation safety needs. 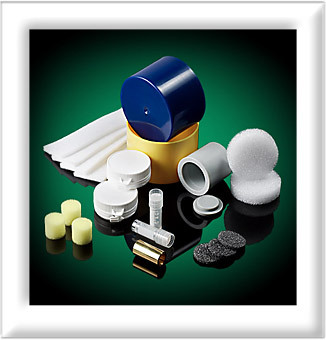 We provide a wide variety of proprietary coatings, plastic encasements and specialized linings in numerous shapes and sizes. Medi-RayTM has several custom lead brick configurations that can be altered to a customer’s requirements, we can also provide pure lead or antimonial lead. This slide discusses types of lead bricks manufactured by Medi-RayTM. To learn more, call 877-898-3003 or fax at 914-337-4620. You can also send emails to sales@mediray.com. Medi-RayTM manufactures lead plates for laboratory shielding. We also supply counterweight products. This slide discusses lead plates and its uses. For more information, call 877-898-3003 or fax at 914-337-4620 or email us at sales@mediray.com. Medi-RayTM has several custom lead brick configurations that can be altered to a customer’s requirements, and provided in pure lead or antimonial lead. This slide discusses types of lead bricks manufactured by Medi-RayTM. To know more, call 877-898-3003 or fax at 914-337-4620. You can also send emails to sales@mediray.com. Medi-RayTM provides lead counterweights with guaranteed functionality and durability. Lead counterweights work in several applications, such as, automotive, marine, environmental equipment, construction equipment and scientific laboratory applications.